Do you spend too much time adding customer data to spreadsheets? Looking for ways to automate some of your marketing tasks? If you’re creating content for a target audience, automated tools can free up your time to engage as a human when and where it matters most. In this article you’ll discover four ways to integrate automated tools into your social media marketing. 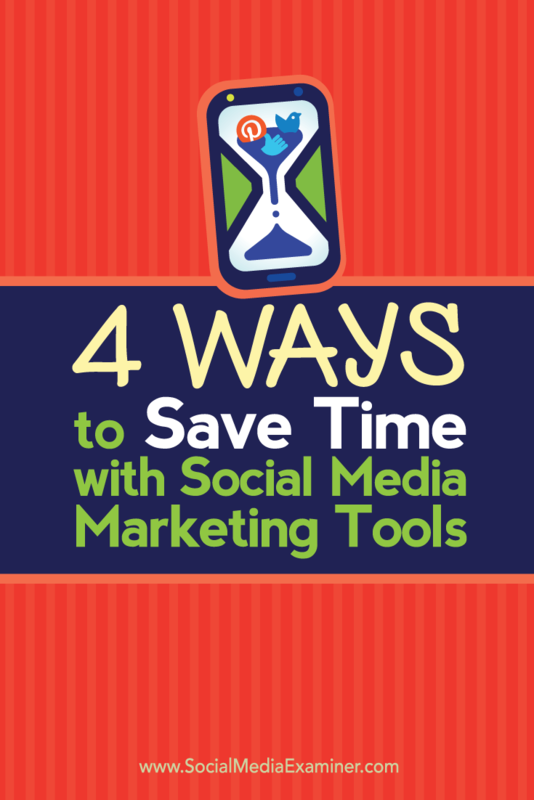 Discover four ways to save time with social media marketing tools. You can use Twitter’s search engine to pull together a list of leads, but the process can be time-consuming. For example, suppose you’re looking for U.S. residents between the ages of 18 and 35 who are interested in Lincoln cars. Rather than do a Twitter search, let an automated tool like Audiense (formerly SocialBro) do the work for you. Once the search is complete, you’ll need to check the results manually. If you added the word “Lincoln” to your search query, you want to follow leads who are interested in the car, not users quoting Abraham Lincoln in their profile. In other cases, you’ll need to vet your leads. What are potential customers and audience members talking about in their tweets? Before you use automated tools to interact with users, you need to make sure that they’re the users you’re looking for. If you’re looking for high-profile prospects, you can also use tools like BuzzSumo or Babbly to find profiles based on people’s interests, past shares, and bios. For example, use the Amplification tab in BuzzSumo to search for influencers by topic. You can sort by the type of influencers you’re looking for, such as bloggers, companies, or journalists. Search for high-profile prospects with BuzzSumo. The results show each influencer’s page authority, domain authority, follower count, retweet ratio, reply ratio, and average retweets. 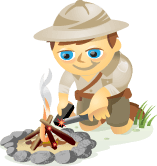 This allows you to separate and search through the list by goals and objectives. View a variety of data about each influencer. 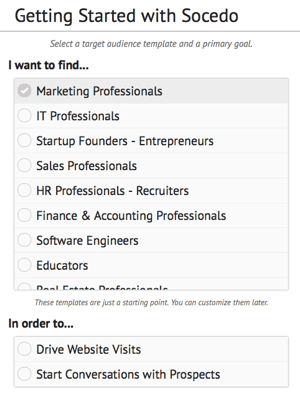 Then you can export those influencers to an Excel document and use it to target them with your marketing. Export your BuzzSumo search results. It’s hard to remember life before Google Analytics and the days before beautiful dashboards of data existed on social media platforms. Now, you can mine most social media networks for insights and analytics data to help you understand who comprises your audience. For example, to find the demographics and locations of your Facebook fans, go to your page’s Facebook Insights. Click the People tab to see a breakdown of the age and gender of your fans, where they live, and the languages they speak. View demographics and locations of your Facebook fans. Tools like Facebook Insights will provide data about your audience, but it’s up to you to answer “so what?” and “why?” based on the segments represented in those numbers. Engagement is new territory in the world of automated tools. New tools allow you to connect with leads with strategic auto-interactions, which are a great icebreaker. Once you initiate a conversation, human interaction is essential. Your customer or audience wants to know that there are real people behind your business. 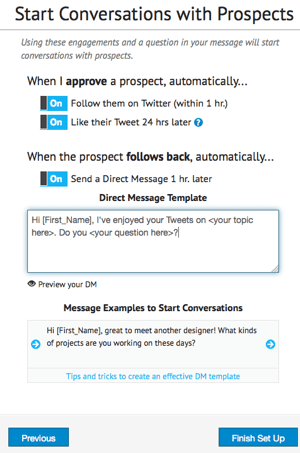 Use a tool like Socedo to automate engagement with potential customers or initial engagements on Twitter. Socedo will ask you to specify who you’re trying to connect with, what you hope to achieve, and what your message is. Select your target audience and what goal you want to drive. You’ll also need to tell Socedo what actions to take on Twitter when you approve a lead. Specify what actions to take when you approve a lead. You’ll need to approve or decline potential leads found by Socedo. Socedo will then take care of the rest based on the actions you specified. Approve or decline the prospects that Socedo has found for you. Some tools allow you to use auto-reply features based on phrases or words used in an inquiry. However, there’s a margin of error that your response won’t really answer the question asked. At that point, it’s up to you to make sure your customers feel like they’re being heard and want to continue engaging with your business. Publishing content in real time isn’t always possible when you have meetings to attend or work in a different time zone than your clients. That’s where automated publishing tools come in. 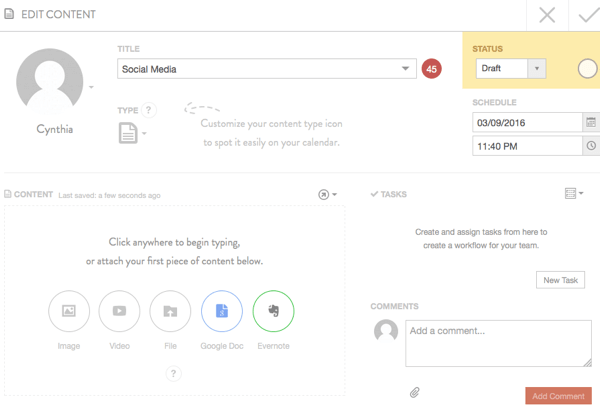 Scheduling tools make it easy to maintain a content calendar and schedule social posts. 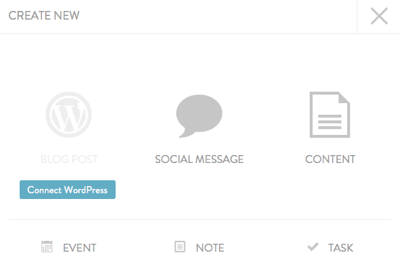 CoSchedule allows you to connect to your WordPress blog and schedule blog posts and social posts before the blog content has been published. You can also separate all of the content that has already been published, which makes it easy to deliver your content calendar to clients. To get started, connect your WordPress site and social media profiles to CoSchedule. When you’re ready to add content, just select the content type. Select the type of content you want to add. With this automation tool, you can assign tasks to writers, schedule your social posts, and approve or deny content, and it will all go into a nicely organized calendar. You can even separate the published content from the unpublished content or vice versa in a calendar view. Although a scheduling tool can save you time, you still have to manually create the content you want to publish. You’ll need to write engaging copy, upload images, and add keywords and URLs where necessary. The technology is not available (yet) to reschedule or edit content automatically, based on what’s happening outside of your campaign. Keep in mind that you may need to edit scheduled content or catch it in time before it’s published. For example, you might schedule a tweet in advance with the hashtag #HappyThanksgiving only to find that on the actual holiday, the trending hashtag is #GiveThanks. The best use of your time as a marketer isn’t data entry. If you find yourself spending a lot of time every day adding data to spreadsheets, there are tools you can use to streamline recurring tasks and free up your time for other important work. Keep in mind that the best audience engagement happens when you closely monitor these tools and tweak them to get the results you want. You need to be involved in what comes after the software does its job, so that important things don’t slip through the cracks. What do you think? Have you used any of these tools? Are there other tools you can recommend? Please share your thoughts and suggestions in the comments below. 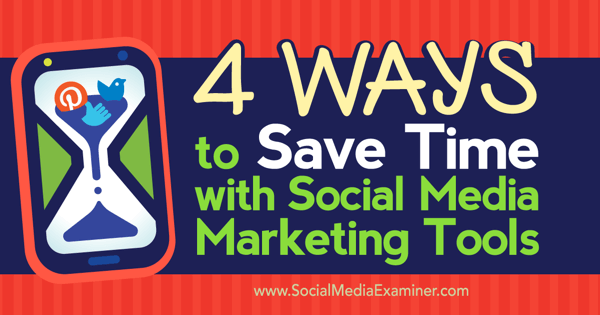 Tips on four ways marketers can integrate automated tools into their social media marketing. Co-Founder at Ipseity Inc., Speaker, and Author.